One of the largest and oldest foundations in the United States will re-focus its grantmaking on social justice while also pledging more operating support for charities. 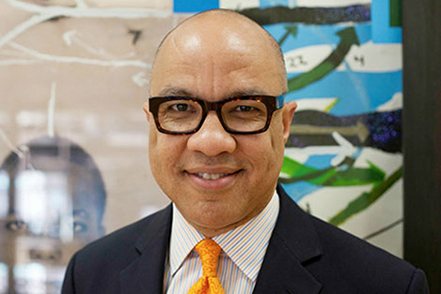 Darren Walker said he received more than 2,000 emails from a request for input last year, at the conclusion of his first year as president of the Ford Foundation. Among the things he heard: The culture of the foundation is “unnecessarily hierarchical and bureaucratic,” while decision-making is “slow and opaque.” Those messages came not just from outside the foundation but also from staff, he said via a 2,230-word message emailed to supporters and posted on the foundation’s website. “Our core values, including a commitment to community capacity to drive change and defending human rights, will remain at the center of our work in all of these program areas,” Walker said, adding that more details will be shared by the fall. Walker succeeded Luis Ubiñas in September 2013. Ubiñas spent six years as president of the Ford Foundation. The foundation’s work also has become too fragmented. “But the majority of feedback was not about what we fund but was about how we fund. Time and again, organizations we support have said that our prioritizing project support, as opposed to general operating support, has stifled their work, forcing them to focus on incremental outputs rather than long-term organizational strategy and effectiveness,” Walker said. The foundation aims to double its commitment to strengthening key anchor organizations working in the six program areas. Over the next five years, the foundation’s trustees have authorized allocations of up to $1 billion for a “concerted effort support stronger, more sustainable and more durable organizations,” Walker said. Headquartered in New York City, the foundation has 11 offices around the world and net assets of $12 billion as of the end of 2013, the most recent year available. It made grants totaling $560 million that year. Providing more support will result in fewer grants and, most likely, fewer grant recipients. “If your field of work is not explicitly mentioned among our programs, it does not necessarily signal an end to our support in that field. It means the way we program is evolving to reflect how problems are best defined and addressed in a changing world,” Walker said.